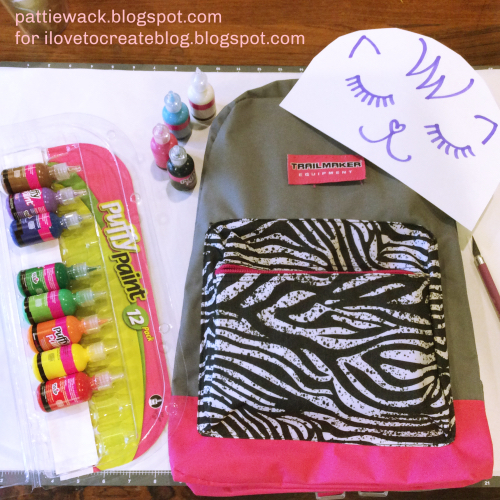 It's not too late to personalize those backpacks for back-to-school! 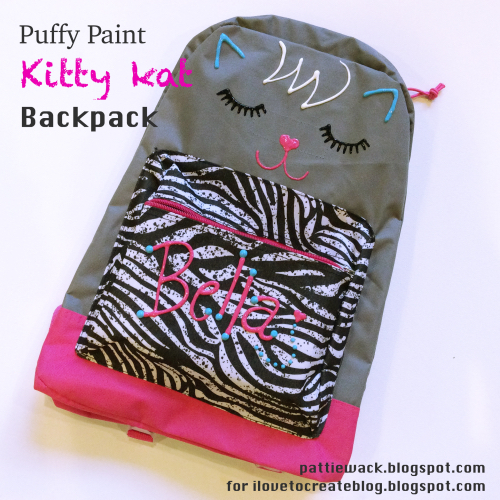 Save the cash you would lay down for a fancy designer backpack for your little princess and simply grab a pack of Puffy Paint to put a kitty face and her name on the front in no time. Cut the label off the front if it's in the way of your design. I just took my craft knife and slipped it behind the label to cut it out. You can't even tell it was ever there. Now choose some great colors to match, with a contrast color. I chose black, white, pink and a contrasting blue. 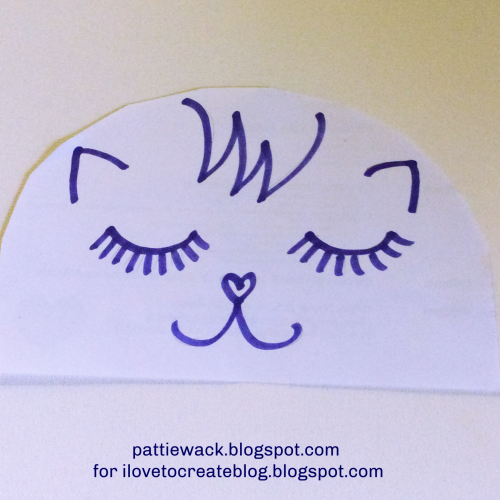 Here's the pattern for a kitty face. If you prefer a different animal you can do a google search for animal face clip art to find everything your kids could want! You can even find fun faces that the little dudes in your family would like. Save the pic to your computer and print. You're all set. 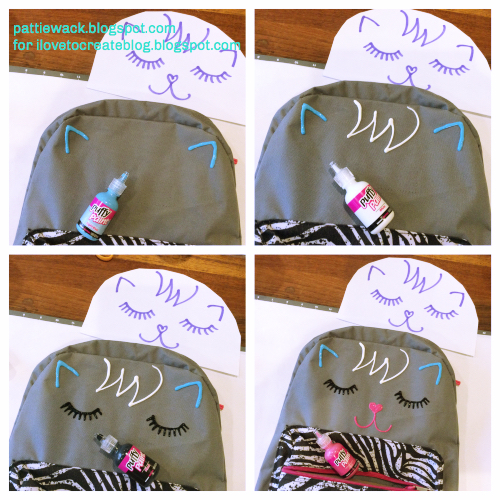 Start by painting the design at the top of the backpack (ears and hair) so that you won't drag your hand through wet paint. Keep going until your face is done. If you're timid about drawing the face freehand, you can draw it with chalk first and then trace over it with the Puffy Paint. The chalk will be easy to brush off, after your paint is totally dry. 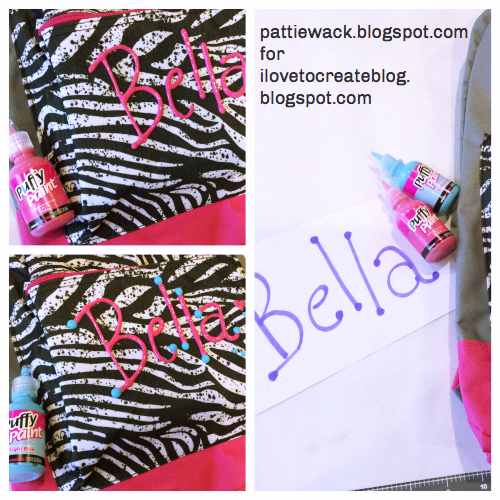 Now paint your name with simple letters that you can add contrasting dots to for a super cute and fun personalized touch. I drew mine on a piece of paper first, to get the size and spacing figured out. Again, you can draw the name on your backpack with chalk and trace over it with Puffy Paint if that works better for you. TET Recruitment Notification 2017 - UP, MAH, TN, AP, Bihar, KTET, WB, Punjab TET Exam Dates, Application Forms. Just read your article. Good one. I liked it. Keep going. you are a best writer your site is very useful and informative thanks for sharing! Go for the best quality product possible and research before purchasing one. Wasting money is not something anyone likes, better spend sometimes on research and get the Best tactical Backpack. Nice article! Looking for t shirt printing in ontario? Dkprint is expertise the area of t shirt printing by means of our innovative attitude. We have highly experienced manpower that will suerly beneficial for productive output. We are the renowned t shirt printing in ontario. Contact us now.